Max Talent Has a Great Time at His First Photoshoot! Max Agency is a successful model and talent agency in Canada representing men, women and children. Max Agency is involved in providing actors, models and entertainers for the film, television, fashion and advertising industries as well as appearance in trade shows, promotions and special events. 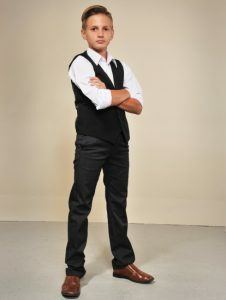 Christopher O., a recent addition to Max’s roster, recently got booked on his first photoshoot! We are so glad to hear it went well and look forward to seeing the final images! Max Agency’s Featured New Talent – Leah M.! Max Talent Stars in New Lorex Technology Commercial!